Tunstall Steam Capsules have been in service since 1985. Their warranty performance since that time has resulted in a practically nonexistent failure rate. The Tunstall Steam Trap Capsule has changed the nature of the steam trap repair business. Before the advent of stainless steel forming and TIG welding technology, steam traps consisted of thermostatic parts made by crimping and soldering of plated materials; the chief feature of this system resulted in products that had built in obsolescence. Hydro formed phosphor bronze bellows were more successful but the cost was considerably higher than common diaphragm cage assemblies. Tunstall Steam Trap Capsules are fabricated of TIG welded stainless steel, which take advantage of existing Aerospace Technology, with extremely close manufacturing tolerances. Their stainless steel bellows counterparts can be found on commercial aircraft and aerospace equipment throughout the world. Tunstall Steam Capsules retrofit almost all thermostatic steam traps made in this century. Each capsule is individually tested and calibrated before shipment. We believe Tunstall Steam Trap Capsules are by far the best way to repair and upgrade existing traps for years of trouble free service. We will be glad to manufacture steam trap interiors for any thermostatic trap assembly ever made. Our products provide the simplest, most effective installation and removal process in the business. We warranty all materials and take pride in being the best product available today. Typical Specification Thermostatic steam trap repair units shall be Tunstall Steam Trap Capsule® (1-800-423-5578) or approved equal. Capsules to be rated for Vac to 125 psig working pressure. Due to the extended life of high pressure bellows units on low pressure applications, only high pressure bellows units will be acceptable. Capsule to be made entirely of corrosion resistant stainless steel with TIG welded construction. 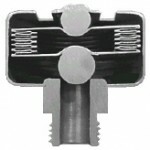 The actuator shall be a ten plate stainless steel bellows, with heat treated hardened ball bearing close off mechanism. Bellows shall be entirely enclosed in a protective stainless steel capsule to prevent damage from water hammer and debris build-up. The replacement capsule shall include integral welded stainless steel seat able to fit directly into the condensate portion of the steam trap body. Diaphragm, Nozzle, Orifice, Venturi, Quick Fix, Wafer, Nugget or low pressure units are not acceptable. The replacement Tunstall unit must be of universal design, able to retrofit the existing thermostatic steam traps. New covers may be necessary and shall be provided as required. Thermostatic steam trap repair units shall be Tunstall Steam Trap Capsule® (1-800-423-5578) or approved equal. Capsules to be rated for Vac to 125 psig working pressure. Due to the extended life of high pressure bellows units on low pressure applications, only high pressure bellows units will be acceptable. Capsule made entirely of corrosion resistant stainless steel with TIG welded construction. The actuator shall be a ten plate stainless steel bellows, with heat treated hardened ball bearing close off mechanism. Bellows shall be entirely enclosed in a protective stainless steel capsule to prevent damage from water hammer and debris build-up. The replacement capsule shall include integral welded stainless steel seat able to fit directly into the condensate portion of the steam trap body. Diaphragm, Nozzle, Orifice, Venturi, Quick Fix, Wafer, Nugget or low pressure units are not acceptable. The replacement unit must be of universal design, able to retrofit the existing thermostatic steam traps without the necessity of providing a new cover. 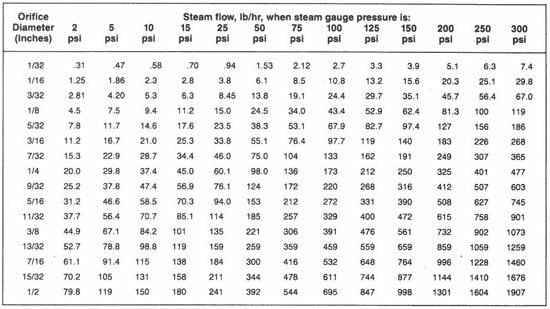 Is a steam trap survey necessary? 1. It takes approximately one lb of steam to generate 1,000 BTU’s. (U.S. Dept. of Energy, Office of Industrial Technologies). 6. Therefore, in one heating season, one trap 50% blocked translates into an effective steam loss cost of approximately $250.00 per trap. Yes, a Steam Trap survey is necessary! It does pay to inspect, repair, or replace your steam traps!